Showtime Hours: Tuesday - Thursday 8pm. Friday - Saturday 6pm. Put on your dancing shoes and get ready to sing along at The Shout! House! 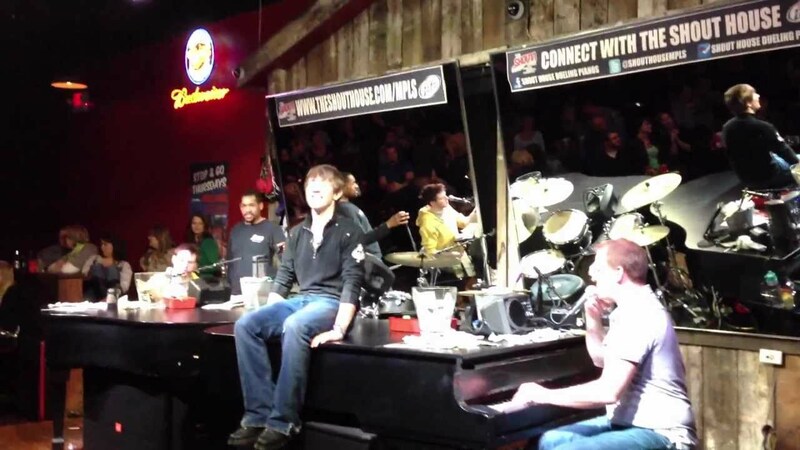 This dueling piano bar brings high-energy performances to Minneapolis. High-quality sound and professional lighting lets you experience a night you will never forget. You're a big part of the entertainment at The Shout! House in Minneapolis. Be prepared to sing or shout along with your new friends at this popular location. Multiple teams of piano players are prepared to play your favorite tunes all night long. You're sure to be in stitches at the comedic stylings of these talented performers.